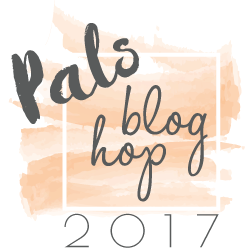 Welcome to the Families First Pals Blog Hop for April 2017. We are thankful you stopped by to take a look at our 2017 Blog Hop monthly themes. This month we are featuring projects that are all about our families. This is a great time of year to think about what to make for Mother’s Day, Father’s Day, or upcoming graduations. And, family vacations are just around the corner… how would you want to remember those special family moments? 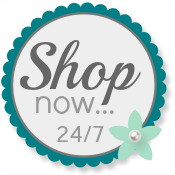 We hope to provide you with lots of ideas and that you enjoy our creations. Mother's Day is just around the corner and I wanted to be prepared. I don't have a mom or mother-in-law to send a card to, but I have friends and family who are moms. I like to add an encouraging word or scripture inside, so I keep the front clean and simple. The banner at the top of my card is the leftover piece from cutting out the main focus behind the sentiment. I added some In Color (Peekaboo Peach) Enamel Shapes to it and popped it up using Stampin' Dimensionals. I used the Cupcakes and Carousels Designer Series Paper Stack from the Occasions Catalog for my card colors. The diamond pattern provides extra colors that I didn't incorporate on my card. My sentiment is from Teeny Tiny Wishes and is punched out using the Classic Label Punch. Love this, Patti! So cute!! What a fun way to use DSP, Patti! Sweet Mother's Day card!! Great CAS card Patti! Absolutely love the design. I love different and you rocked this perfect Mother's Day card! Thank you for sharing.